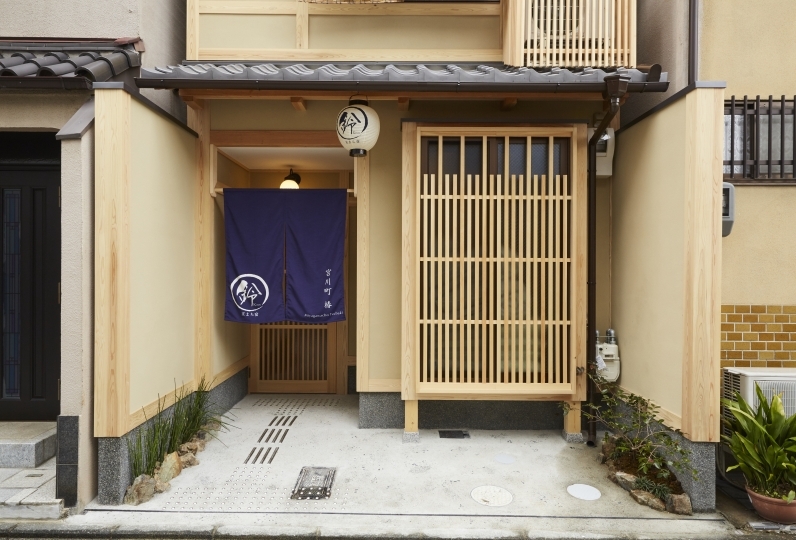 nearby Shijo Kawaramachi, the most bustling street in Kyoto. 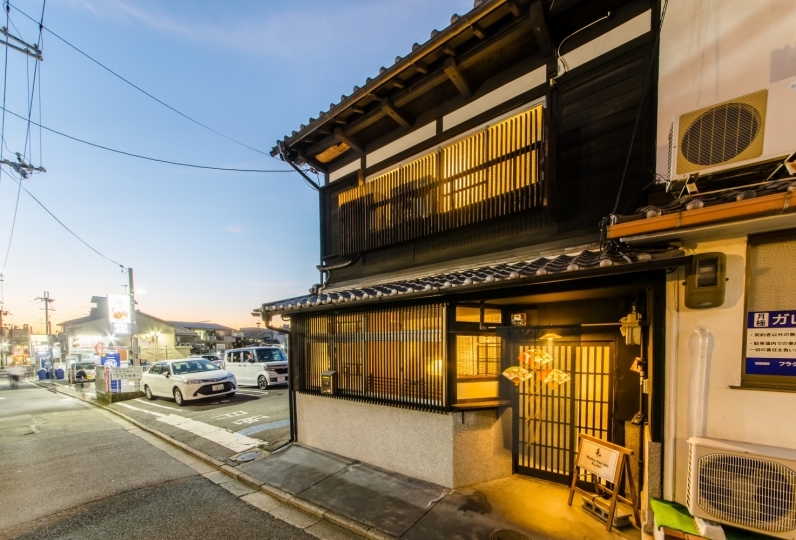 Please feel the atmosphere of the traditional culture of Kyoto in the street. 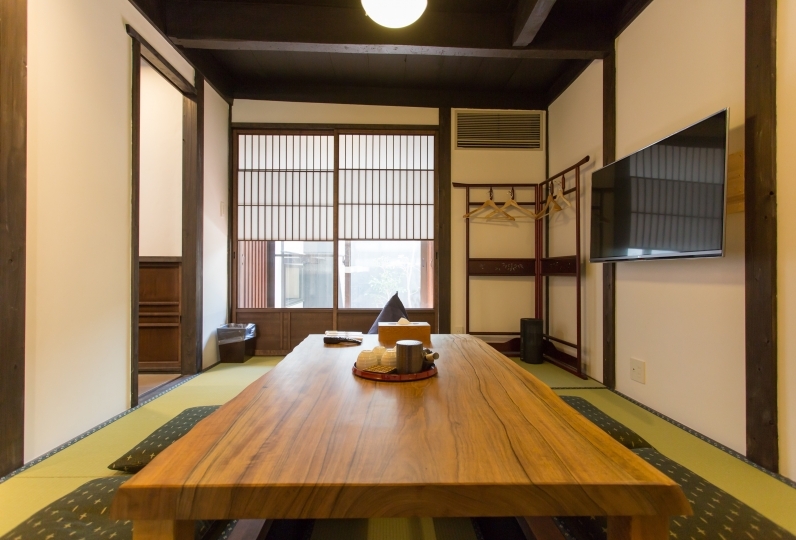 Fusion of traditional architecture and modern facilities. to relax all of your body from travel fatigue. sincerely made entrance items will come in your sight. 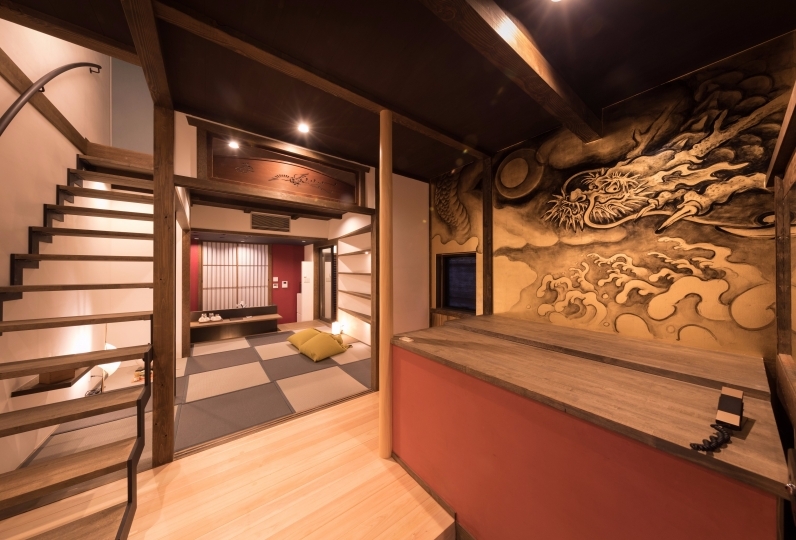 Inside the latticework, there is a Japanese style room with Wajima special idleness desk which is colored as 53 Tokaido Maki Art made by Hamataka Etsuro. 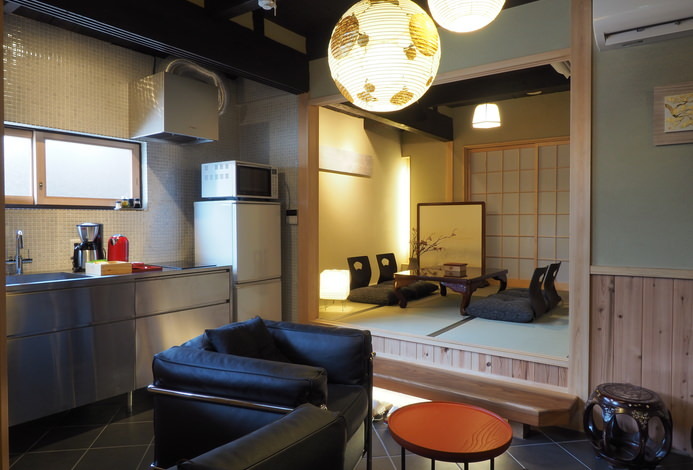 There are kitchen and bathroom in a place for Okudohan(Kyoto dialect of the wood-burning stove) from a long time ago. 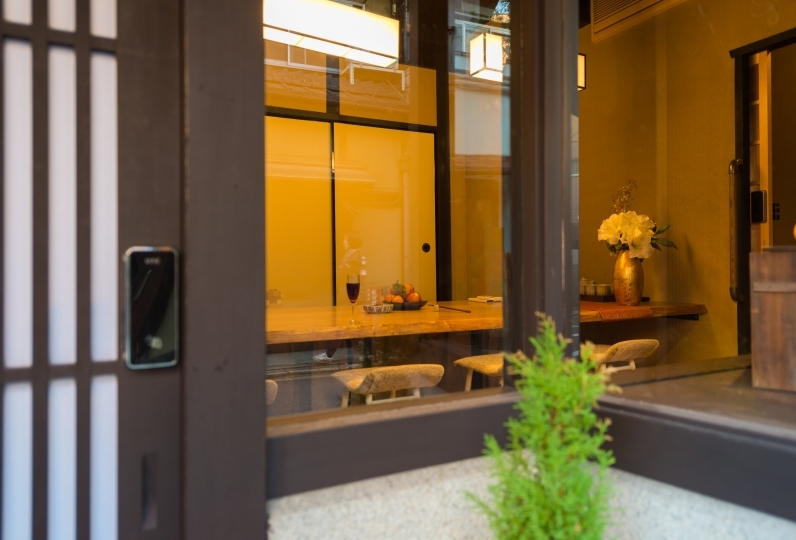 In the bathroom, you also could watch the white sand garden through the sliding door which is for snow-scene viewing. 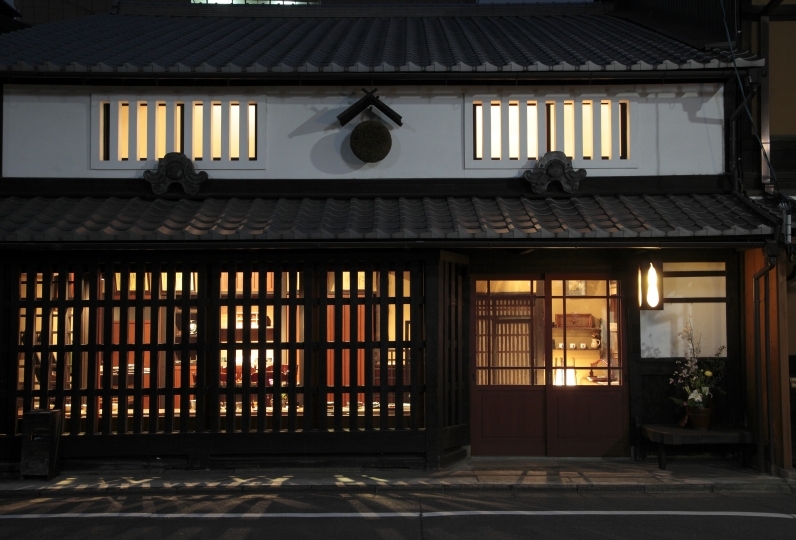 It is able to feel the atmosphere of Kyoto through taking the light outside, even it is small. 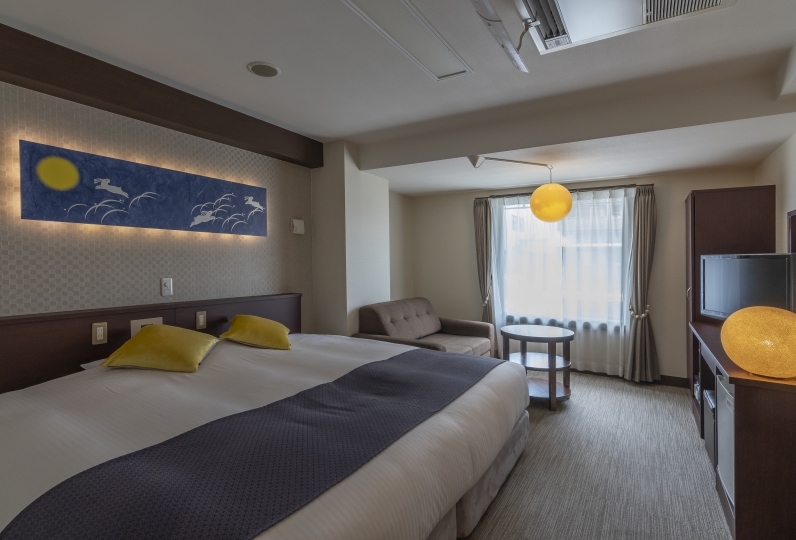 For the bedroom, we have prepared high quality 'Simmons' bed. 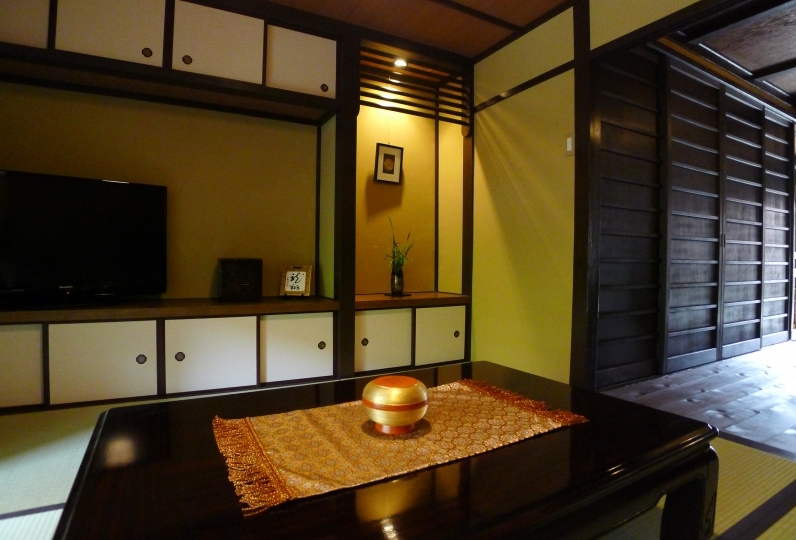 We had prepared air conditioning and heating for entire rooms. 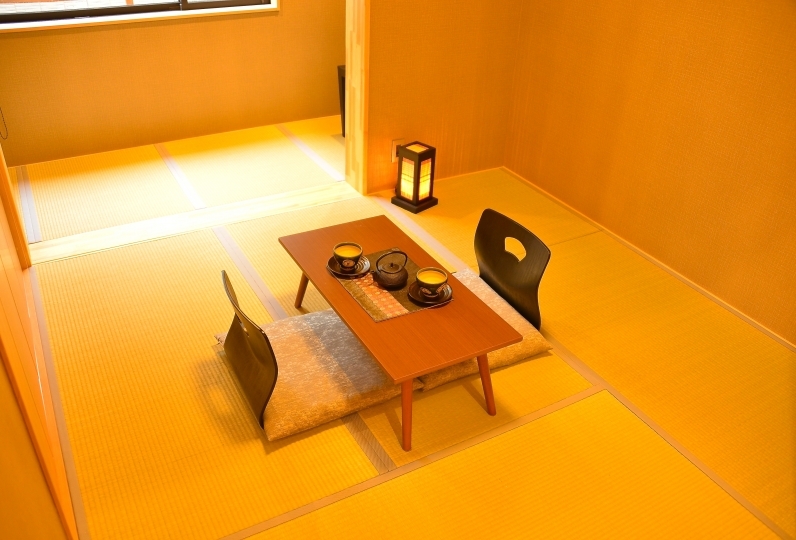 There is floor heating in the 1st floor, and ground-digged kotatsu is in the Japanese style room. 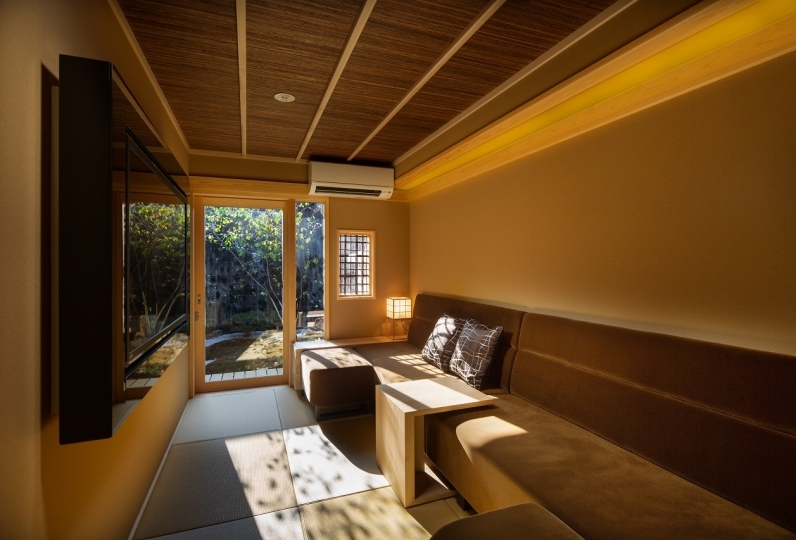 to stay comfortable even there is the heat wave in summer or cold wave in winter. 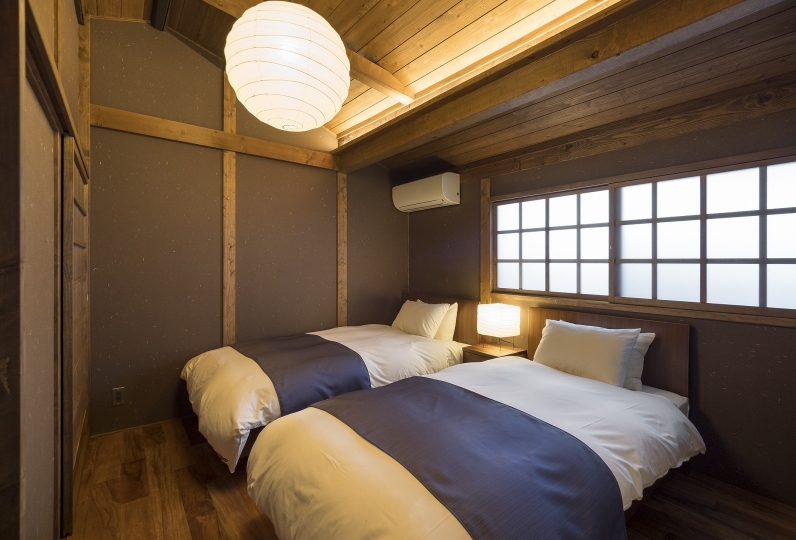 From October 1st, 2018, Kyoto city accommodation tax will be added separately.